After buying 25 truck from car dealer you can purchase new truck by online (in default the minimum was 5) etc. 11. 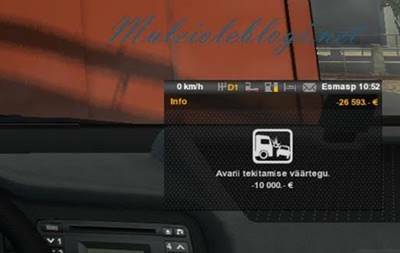 Fuel discount in garage is only 0.01 (1%) (in default: 0,15 (15%)), etc. Use the mod to discover new changes! Compatibility with game version 1.27.x and below that. Tested on ETS2 1.27.x and 1.26.x.